This Saturday, May 19, will be the first-ever global Food Revolution Day. I can not tell you how proud I am that we have more than 500 cities in 57 countries around the world standing up for real food. And it couldn't be a more important time for it. According to the World Health Organization, global obesity has more than doubled since 1980 and more than tripled in children. Across the world more than 1.5 BILLION adults are overweight and of those 200 million men and 300 million women are obese. We are in big trouble. Despite these grim statistics, and general shouting about the problem across the world, no one -- not government, schools or doctors -- have worked out a plan to give our children the tools to live longer, healthier, happier and more productive lives. Our kids are the first generation predicted to live shorter lives than their parents. As a father this is unacceptable to me -- and should be unacceptable to you. Food Revolution Day is an opportunity for everyone around the world to do something. The Food Revolution and Food Revolution Day is about empowering people through education or, frankly, just inspiring people to be more street-wise about food, where it comes from and how it affects their bodies. If you know how to cook you can save yourself money, feel better and live longer, and the chances are, your kids will follow suit. After all, we all kind of become our parents in the end. I started learning about food at the age of five in the kitchen at my Dad's pub. It was 1980, and about one in every 15 people in the UK was obese. Just 30 years later, and it's almost one in every four people. It's the same story throughout the world and, in some places, even worse. The truth is that our priorities have completely changed during that time. That's okay -- with progress they change every 50 years or so anyway -- but we have lost touch with real food and the time has come to re-adjust. Everyone paying taxes, whether they're a parent yet or not, should feel confident that when they send their children to school they will be fed right, educated about food and taught the skills they need to set them up for life. Many people in the last three generations weren't taught to cook at home or at school, and that has certainly contributed to the crisis. For 10 years I've seen the positive impact that learning about food can have on our communities, our lives, our happiness, health and self-confidence, so why aren't the governments or schools mandating food education? It's not that difficult. In Australia, I'm working closely with a big business that has donated millions to help communities -- millions that have been match-funded by government and resulted in a whole raft of clever, strategic initiatives that will help to make good food and food education available to all. On May 19, thousands of people around the world will come together -- businesses, schools, sports stars and celebrities -- to hold events, dinners and cooking classes, with the aim of putting good food back on the agenda. We want to change the way people eat by educating every child about food, giving families the skills to cook from scratch again, and motivating people to stand up for their right to better food. Please go to http://foodrevolutionday.com and show your support. 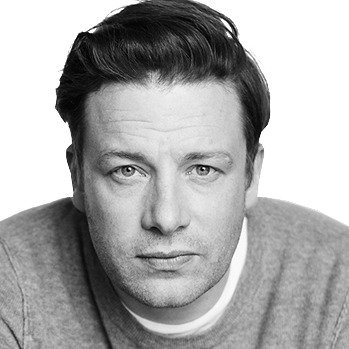 Watch Jamie live on Food Revolution Day this Saturday 8pm EST / 5pm PST Sunday 1am GMT / 9am SST talking to food revolutionaries from around the world in aid of Food Revolution Day. Tune in to the Google + Hangout through the Food Revolution Community page, why not host your own Food Revolution viewing party or dinner party, cook a meal and save a virtual seat for Jamie!